Cycling Shimanami Kaido If you are a beginner, I think it would be nice to join the cycling event for beginners. By participating in a cycling event for beginners, people from the event planning staff can know various information about cycling of Shimanami Kaido. 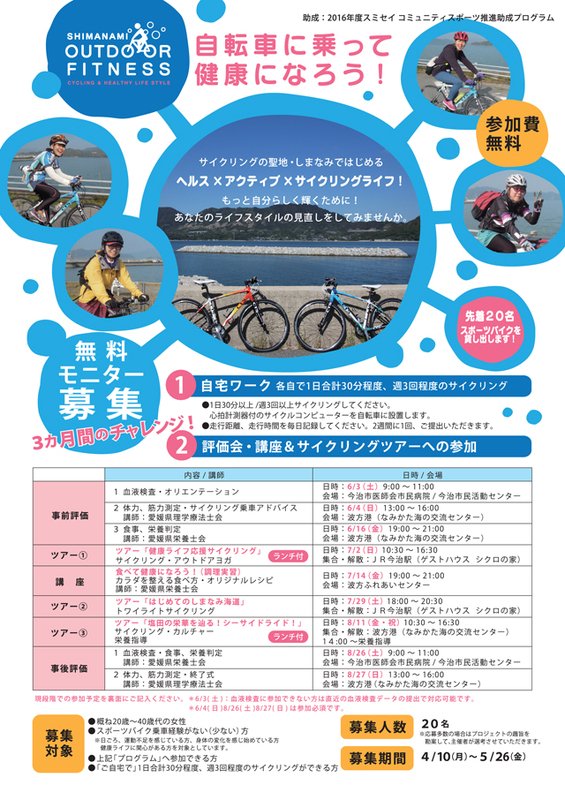 私の場合、「Cyclotourism Shimanami」I am trying to participate as much as possible in the cycling event held by NPO which is starting Shimanami Kaido cycling information. Cyclotourism Shimanami's Shimanami Kaido Cycling Event is recommended for beginners of cycling for the following reasons. There are many cycling events for beginners. It is possible to get information on cycling of Shimanami-Kaido which is really recommended as you do not know with an ordinary travel agency or planning company. If you punctuate on the way or the chain runs out, the staff will come quickly and will fix you in no time. You can enjoy climbing cycling, free chilling, chilling relaxedly, calming, heart warming, Shimanami cycling. Well, when it says the Shimanami cycling event, there are teams running at the same speed, with the same cycling jersey in, but for beginners the threshold is high. This kind of team is not suitable for beginners, right? 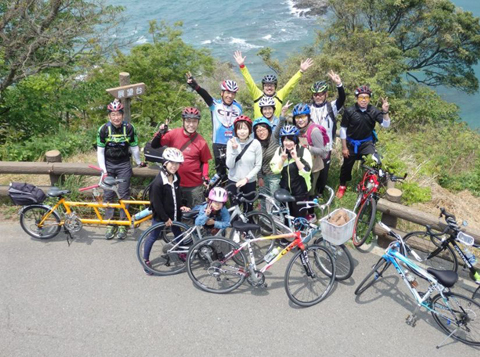 Cycling Tourism Manami's cycling event is a very easy cycling event for beginners of Shimanami cycling. that you can get along quickly. On this page, I would like to introduce about cycling events of such cyclotourism Shimanami 's cycling event, the cycling event to be held in the future, and the cycling event which I participated and was highly recommended. This cycling event is an event I am planning to participate in. It is sure that it will be an event where you can enjoy the Shimanami Kaido solely by sending out from Onomichi, cycling by Shimanami Kaido and staying overnight and enjoying BBQ. 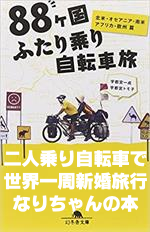 There is no doubt that it will be a blissful time to listen to the story of Mr. Kazunari Utsunomiya (guide staff) about "Narchan" circling the world around his honeymoon in that tandem motorcycle while doing BBQ. Since it is a first come, first served basis of 30 to 40 people, it is better to apply early. Twilight Cycling Event "First Time Shimanami Night Scape"
Cycling at the open vigor at night! Recommended for the hot summer, it is perfect for you as well as a busy plan. I also want to watch out for dusk Cycling points lecture. This night cycling, it is an event that you can see a lit-up bridge only locals know. However, this Twilight cycling event, scheduled for a big event to visit a wonderful fantastic beautiful place not explained in this guide. This is a big event that can not be done publicly. Why can not I publicize ... I can not tell you here for a moment. As for that sightseeing, you may tell us if you inquire actually, so please contact us. Free monitor event "Be healthy with sports bike"
・those who are interested in health promotion etc. ※ Participation is required on the measurement date, courses and tour holding dates. Why do not you review the lifestyle through cycling? Exercise advises experts on aerobic exercise, cycling and dietary habits that can expect strength training experts. 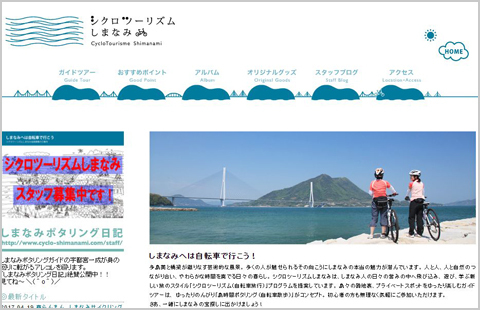 Cyclotourism Shimanami is an NPO corporation planning a variety of attractive cycling tours. Tour guide chief 'Narchan' Kazunari Utsunomiya is a strong man who has traveled around the world for over 10 years on a honeymoon with a tandem bicycle (two-seater bicycle), and this daughter and other mustards The staff who knows exactly, everyone touches friendly and friendly, so you can get along well soon. Although I am allowed to participate several times, I will be able to make friends with all of you immediately, and will tell you the latest recommended "Shimanami Kaido" spot and a hidden gourmet spot. Tandem bike tour that participated for the second time before. The person in the back yellow clothes is "Nari-chan"
関連記事⇒I went to a tandem bike tour sponsored by "Cyclotourism Shimanami". All of us are friends soon. If you are a beginner of Shimanami Kaido, you first participate in the tour planned for this "Cyclotourism Shimanami", become friends with the "Nagano chan" and staff members, then purchase various information and make a full debut, you surely I think that I can make it with the thought of the wonderful "Shimanami Kaido". For those who wish to run a tough Shimanami Kaido, it may be a bit insufficient, but for those who are new to Shimanami Kaido and those who do not know how to enjoy Shimanami Kaido, we have become acquainted with the people of Shimonorishimonomi I think that it is a very good thing to do. I was taught the information on the ANAGO box lunch which is not superior to the gourmet book. 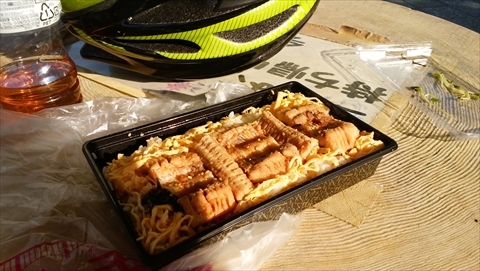 Cycling event over gourmet of Shimanami Kaido Ehime side starting point "Imabari"
Let's taste Imabari from well-established taste to rumored local gourmet. Eat, run and eat again! Conversation with the producer is also fun! ! It is a very popular tour that will make your stomach and heart warm. "Although it is honored as petit gourmet, it is not what you say. Last year we started from that class B gourmet "grilled pork delicious rice" and we are eating up to famous well-known Okonomiyaki around Imabari, recently talked about sweets and sweets, and finally ramen, it is a bad thing. Please look forward to this year too." People who wish to enjoy the core gourmet of Imabari will be able to participate by the 1,000 yen as much as you wish, so why do not you ask inquiries? Copyright © 2019 Tsuka All Rights Reserved.